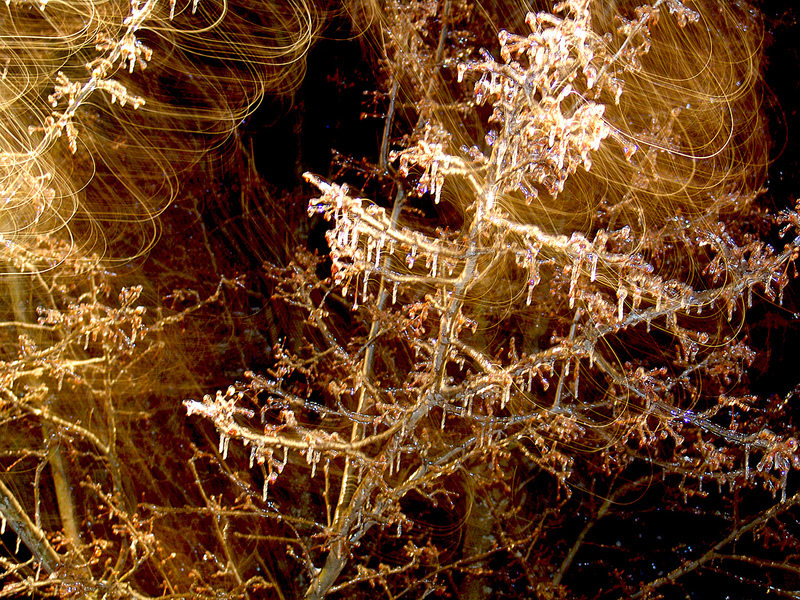 A few Christmas' ago an ice storm hit Columbus, Ohio. Everything was encased with clear ice. I made this 1 second exposure using the camera's flash during a gust of wind. This created a swirl effect as the branches moved with the wind.